We’re often bombarded with seasonal products that claim to be great for combating harsh winter weather or perfect for withstanding summer heat waves… but what about products that can and should be used all year round? Below are a few items that I recommend keeping in your bathroom all 365 days of the year. Designed for all hair types and capable of being combined with any other NaturalTech treatment, this collection of products offers a moisturizing, protective and invigorating treatment. Well-Being Shampoo: This moisturizing shampoo is intended for all hair types, offering the perfect balance of cleansing and hydration. Well-Being Conditioner: The conditioner untangles and moisturizes your hair, leaving it with a look that’s soft and smooth. Well-Being De-Stress Lotion: Multi-purpose for your hair and body, this spray has a velvety texture for fast absorption, and is enriched with a UV filter for protection. It leaves your hair silky and your skin nourished. This creamy facial cleanser leaves skin feeling ultra-soft and clean. The non-foaming formula features Vitamin E, Lavender and Aloe to calm skin and replenish moisture. 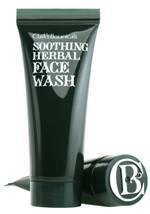 It's extremely gentle yet highly-effective for removing make-up and impurities. This rich, advanced anti-aging skin care treatment targets fine lines, wrinkles, laugh lines, rough skin, and more! Employing a blend of peptides, vitamin C, and other unique anti-aging ingredients, as well as Atopalm’s MLE technology, it replenishes hydration, leading to a softer, suppler, and more radiant complexion.